Complete health and wellness for all ages, newborn to aged. We provide physicals for sports & scouts and we also provide vaccinations. Providing Pap tests and implantable contraceptive devices (male-only practitioners). Treatments rely on the use of hands to diagnose, treat and prevent illness and injury. Sports medicine focuses on physical fitness and the prevention of injuries that result from sports and exercise. As a primary care provider, we specialize in family medicine. We help patients of all ages with the diagnosis and treatment of acute and chronic illnesses and more. Our wellness coaching approach is not about deprivation or restricting favorite foods, but rather about living a full life with more time, more confidence and more fun. SculpSure is a non-invasive, non-surgical laser treatment for body contouring and fat reduction. * If you want to reduce fat cells and the stubborn pockets of fat on your body, SculpSure's applicators can address the stomach, back, love handles and thighs. * This FDA-approved laser system uses heat to melt and damage fat cells, which then leave your body naturally. * The procedure is safe, effective and can be completed in 25 minutes. There is no downtime. Sign up to receive the latest news, information and promotions. 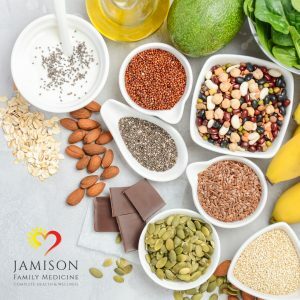 Dr. Jamison earned his bachelor’s degree from Brigham Young University in 1986, with a degree in Zoology, pre-professional, with an emphasis in Human Anatomy and Japanese. As a child, Jeff dreamt of becoming a doctor and helping people overcome their medical trials. However, after graduation, he chose to take time off from school, get married and start a family. Jeff and Trisha were married in 1987, and together they have 6 children. Jeff started medical school in Des Moines, IA, at Des Moines University School of Osteopathic Medicine in 1991. 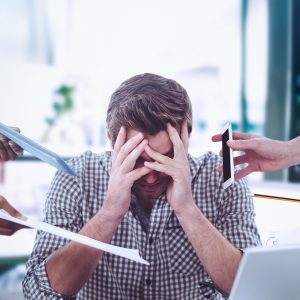 April marks the start of National Stress Awareness Month.